A couple of weeks ago I was visiting a garden that is rarely open to the public. For a few days each year the owners gamely allow people the run of the place, and they give the takings to charity. It is a beautiful piece of Ireland, with water and woodland, and the daintiest walled garden I’ve ever seen. There was much to see in the extensive acreage: a polytunnel crammed with vegetables, more vegetables in the walled garden, congenially intermingled with perennials; a gravelly courtyard, where plantings of the pinky-grey-spired toadflax ‘Canon Went’ swayed in the breeze in a most agreeable manner; an avenue of chalky-barked birch; a boathouse overlooking a tidal river; a compost area with dark and crumbly vintage humus. A display of newly planted nasturtiums, in twenty-four pots, was just one of many pieces of evidence that this space was continually and carefully gardened. After that, I kept an eye on Mr and Mrs Nosey Parker, watching them move around the exterior of the house and clinging to the panes like those sucker-toed toys that you see stuck to the windows of cars. Their curiosity was undisguised and unending. It reminded me of the need for a Garden Visitors’ Code of Behaviour (there’s a parallel code required for certain garden owners, but that’s for another day). It is something I’ve written about on occasion in my Irish Times column, and which I’m wheeling out again here. — Go with an open mind: although you may not like all of what you see, there’s bound to be something that offers food for thought, or even inspiration. You won’t find it unless you look for it. — Bring your camera and notebook: take pictures of plant combinations that you like, and note their names. But don’t take snaps of the garden owner without their permission. Chances are that if they’re in the garden they are gardening, and may not wish to be immortalised with aphids in their hair and rips in their clothes. — Keep your criticisms to yourself, and don’t offer the owner unlooked-for advice on pruning, planting or anything else horticultural. And don’t mention the weeds. — Ask questions, but be reasonable, it’s a garden visit, not a consultation. And try to resist telling anecdotes about your own plants and garden. The garden owner has heard it all before. — Do keep children on a tight rein. Encourage them not to pick flowers, handle plants, run through borders, throw handfuls of gravel, splash in ponds or rearrange plant labels. Unfortunately, some children are just too lively to bring on garden visits, and their need to blow off steam cannot be accommodated in a carefully-kept space. — Be honest. If there is an “honesty box” for you to pay the admission charge, do put the money in. Don’t steal plants, flowers, cuttings, or labels. Some gardens have plants for sale, so you may be able to buy the coveted plant. Often the owner will actually give you a cutting. Test the water with an investigative “is it easy from cuttings?”. — Respect the owner’s privacy. Do observe the signs asking you not to pass certain points, and don’t look in windows, or wander into houses uninvited. Don’t turn up outside opening hours unless you have an appointment. — Do praise the garden. If there’s something you like, say it. The owner has worked hard to present their precious space to people like you and me. For a moment, I thought I recognised Mrs. Parker. Wouldn’t that have been fun! I reckon a very interesting book could be written on the goings-on of garden visitors. Mr and Mrs P had English accents, so I think they were tourists. In any case, I very artfully gave her a pair of sunglasses (or black eyes, even) in the photo, so that she would be less identifiable. Outrageous but unsurprising – people are just so rude and these days people have no respect. If I was opening my garden which I never would as it isnt good enough but if I did I would have all the curtains firmly closed. Not unusual though. I know lots of owners who open for the NGS often have plants stolen, or seed heads nipped off, as well as the snooping into the house itself. Its such a shame because its usually with great pride that owners want to share their hard work and lovely gardens and I’ve had some inspiring afternoons wandering round open gardens, not to mention fabulous tea and cakes! Let’s just hope it doesn’t put these gardeners off. Crikey! This is an aspect that I hadn’t thought as I’m opening my garden for the first time in September better have bouncers at the ready, and security guards frisking people as they leave in case they take my plant labels. It is a very lovely garden that you visited, I like the little Nasturtium altar, especially as it is the sort of thing that I never manage to do myself. One thing you left out was visitor should go to the WC before they visit the garden. Those kinds of deposits are NOT welcome. I might be organic but not to that extreme. I have also had plants stolen which I find quite hurtful as they were raised from seed and cuttings not easy to do so. So years of TLC gone in moments. Naughty, naughty Mr & Mrs P! Love the photo of him gawking :)I’ve been opening my garden every summer for the last 10 years or so and must say that there have been only a handful of negative incidents in all that time. But my daughter recalls a lady, face pressed up against a window, calling a friend over to “take a look”, they hadn’t noticed Zoey was sitting in the room watching tv! I am on the committee for the Ulster Gardens Scheme and we would usually suggest that garden owners close their curtains over to prevent visitors peering in. Unfortunately too many people assume because they have paid to see a garden they have carte blanche to do whatever they want once they get in. A friend who opens her garden has had some horror stories to tell: all the seed heads of her blue poppies removed; visitors who had been brought into the house for tea and scones going through drawers when she left the room; a plant sucker being hauled out of the ground and when she offerred to fetch a spade in the hope it might embarrass the culprit he simply said yes and proceeded to dig it out. Another friend had welcomed a coach load of visitors to her garden, provided teas, scones etc, and at the end, despite having agreed a fee in advance the entire group boarded the bus and drive off without paying any money at all. It makes me despair sometimes, but I am always so grateful to all those who do share their gardens and hope they will continue to do so as it brings so much pleasure to others. A lovely column in every sense, inspiring me to seek a garden haven as I head to northern Minnesota. I do not expect to be challenged by the invitation of grand houses, but I’ll keep my nose clean nonetheless. The tomatoes are done in Austin, but despite the early onslaught of summer’s arid days, the rose pavlonia has taken flight. Cheers. Oh dear… I have a suspicion that deep inside I am one of these dreadful people who would like to follow their baser instincts and peer through the windows into other people’s lives! Only stopped by my husband grabbing the scruff of my neck and hauling me back into line. When visiting Prince Charles garden at Highgrove, it was all I could do not to rush up to the windows and peer into his living quarters leaving an incriminating imprint of my nose on the panes. Only the likelihood of setting off alarms and hundreds of armed security people jumping out of the bushes stopped me from doing this. You shock me, Ms Sock! But, then, who wouldn’t want to stare into Prince Charles’s windows at all of One’s things? Yes, Patrick, it is in West Cork! Your stories (and Susanna’s and Deborah’s) are more examples of depressingly bad behaviour — and I could tell a million more. But MOST garden visitors behave impeccably, of course. There was a television programme from Highgrove where Alan Titchmarsh interviewed Prince Charles. Prince Charles recalled lying on the floor of the sitting room to avoid being seen by visitors. I wonder was this the occasion of the visit by Ms. Sock? On a slight change of emphasis: Jane, you mention the “honesty box” above and a thought on these honesty boxes came to me during a recent garden visit. 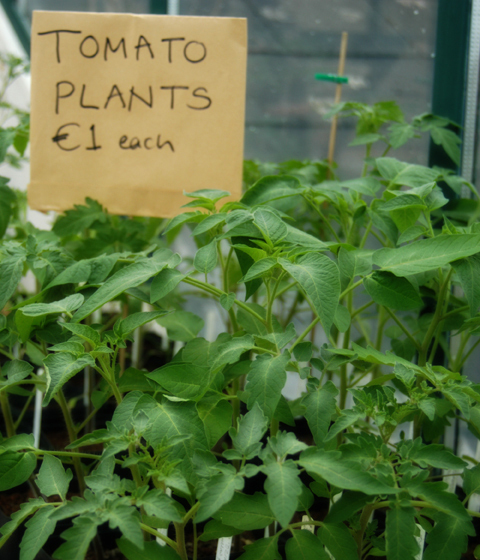 Would it be honest to put only what you thought an appropriate/fair fee for the garden into the honesty box? Imagine the garden owner suggested €5 per person for visiting the garden but, after visiting, you thought such an amount too much; that the garden was not of a standard that deserved such a payment. Would a payment of, say, €3 per person be more honest and more in keeping with the “honesty box”? Oh dear, the poor Prince! Regarding the honesty box question: I understand your point completely. Some owners have an inflated opinion of how worthy their gardens are. And they do overcharge. But I feel that the honesty box is part of a culture of trust that we don’t want to lose in gardens. So, if one leaves it short — for whatever reason — it is eroding that trust. If a garden isn’t up to scratch, then perhaps the best thing is to seek out the owner and discuss a reduction in the entry fee? I’d love to know what other people think about this! Jane, for the record: we both paid the full amount suggested. As you say, it is the fair thing to do. The garden owner wasn’t about but, you know, most garden owners don’t really want to hear an honest opinion on their garden; it is too precious and personal to them.On the other hand, commentators on gardens generally lean to the side of being polite and not causing offence rather than being truthful. 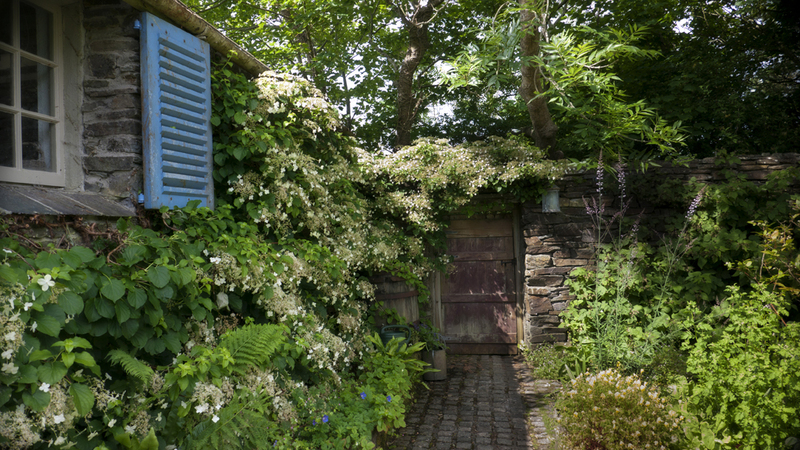 Rarely is a garden critiqued in the same style as, say, a restaurant or book. Paddy – true re gardens and lack of critique, but I’m constantly finding I’m in disagreement with film critics, so I expect it would be the same for me with gardens. Great column – love the pic, would have loved if they had found themselves on here! You are currently reading A Snoop Too Far at One Bean Row.